What is an Anticoagulant Error? Anticoagulants are drugs that are administered to prevent the formation of blood clots, which stop the flow of blood throughout the body. 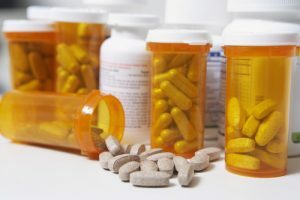 While this type of medication is typically helpful, even life-saving, it can sometimes harm a patient and lead to lifelong health problems or death. Among the various errors associated with anticoagulants is the failure to provide them to patients who need them. In some cases, a medical professional might administer an incorrect dosage to the patient, which can happen if he or she miscalculates the weight of the patient. Additionally, other members of the hospital staff can make errors in labeling, communicating with the patient and caregivers, or entering information into the computer system. The results can be severe, regardless of who made the mistake. What are the Effects of an Anticoagulant Error? Dangerous medical reactions can result when a medical professional improperly administers, or fails to administer, an anticoagulant to a patient. If the drug is not administered to the patient when needed, then blood clots, stroke, heart attack, or other serious conditions can occur. Conversely, when a dose is administered in excess, it can lead to major bleeding, the need for a transfusion, or even death. How can Such Errors be Prevented? The medical malpractice attorneys at Thurswell Law have extensive experience and medical knowledge to assist victims of errors in anticoagulant administration. We hold the doctor, nurse, or other medical professional responsible for the failure to provide adequate care. Call us today for a free consultation. From there we can decide the best course of action to secure your monetary compensation.